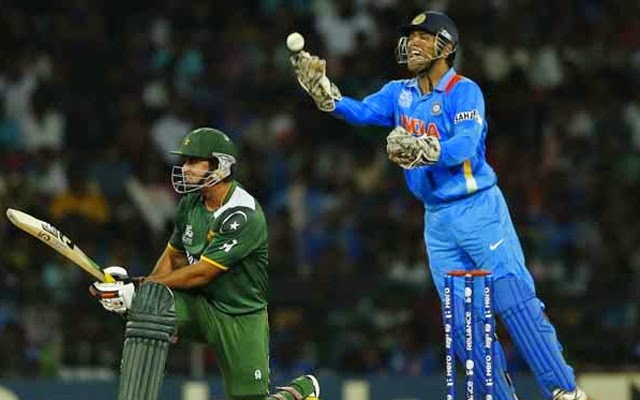 India vs Pakistan World Cup 2016: What to expect in summit clash? India face their biggest challenge of the year taking Pakistan in a summit group clash on their first encounter in ICC Cricket World Cup 2015. Both captains from either side have their respective strengths and weaknesses. 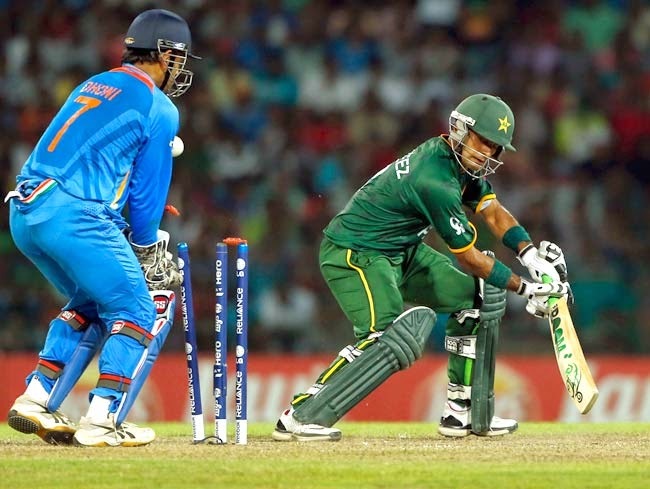 India and Pakistan will face each other for the 6th time in World Cup history (50 over format). Team India had a greater share of luck winning all their matches till date in the World Cup while Pakistan is determined to change the course of records against arch rivals India. History as it says, when they face each other, they leave no stones unturned to make the match out of it. Indian team has looked patchy in Australian decks while Pakistan had similar problems losing both their bilateral series against New Zealand on home and away soil. So this is a challenge to put the swords out of them and break the jinx of under-performing on alien conditions. A team which is known to perform well on any soil, will rely heavily on the experience of Misbah ul Haq, Shahid Afridi and Younus Khan. Over the years, batting has been one of the concerns Pakistan faced ever since they missed the quality of Mohammed Yousuf, Inzamam ul Haq and Taufiq Umar in the top order. The evolution of Mohammed Hafeez as an all-rounder and batting masterpiece Ahmed Shehzad has given the side enough talent and justice to do well in the upcoming World Cup. If analysis has to go about strengths, Pakistan's bowling was and will be their main weapon in years to come. This World Cup, their key is to make a mark with their bowling attributes more than their batting. On the average, the team has won 56% of their world cup matches till date that contributes more than 45% in win when their bowling unit has outperformed their oppositions. Mohammed Irfan and Wahab Riaz are their two new ball bowlers who have the reputation of creating holes in Indian batting lineup. Who can't forget, Riaz's 5 wicket spell against India in World Cup 2011 that literally pushed the home side on backfoot after looking reluctant to get 300+ score in that semifinal encounter. Irfan who's deadly bowling did all the talk in 2012 Pakistan's tour of India which the home side lost 1-2 is again an unforgettable experience. Shahid Afridi and Hafeez has looked good both with bat and ball in 2014 extending their good form in recent New Zealand series last December. The last time India met Pakistan was in Asia Cup 2014 when blitzkrieg from Afridi stole the show from India's hands. Ahmed Shehzad, the stylish modern day cricketer and rising star for Pakistan is keen to make his marks in this World Cup. He has looked by far the most stable batsman at the top order with Hafeez taking the responsibility of leading Pakistan opening lineup. Younis Khan, the old master stroke player has been in great form and highest run scorer for the team in 2014 will again be a threat in the opposition's camp. India, by far looks the most stable side among the both keeping in mind their 3 months stay down under and accessing the pitch conditions quite well by now. MS Dhoni's men have got a fair idea on what to expect on Australian pitches and how they should go about in the upcoming matches. Pakistan's weakness against spin bowling will be put to test by quality bowling attack leading with Ashwin, Jadeja and Axar Patel. Last time, Indian team scrambled in midway after a very promising start in their semifinal clash in World Cup 2011. Their overall ODI record against Pakistan is last 4 years doesn't speak much of a success. India registered 2 wins and 3 losses against Pakistan since 2011 World Cup. Top order Shikhar Dhawan and Rohit Sharma will be tested against Irfan and Riaz pace and bounce. India's middle and lower order looks more stable with the presence of Raina, Dhoni and Jadeja. It would again be a choice captain cool has to make going with Axar Patel or Jadeja with Ashwin in the spin department. Virat Kohli's recent form has been phenomenal both in tests and ODI format. His key role at number 3 or 4 will be to keep things simple and milk the singles against spin bowlers of Pakistan. Consistency in the powerplays and not loosing key wickets in regular intervals will be the order of the day for both sides. India's new ball bowlers - Stuart Binny and Bhuvaneshwar Kumar will be making key inroads in Pakistan's lineup. Mohammed Shami and Umesh Yadav will lead the front taking responsibility of the bowling attack with the old ball. Spinners will come handy provided the ball grips and turns through the surface, however Adelaide wicket doesn't seem to do so. India's record over the years has been healthy in ODI format, other than in away soil conditions. If India has to win the World Cup 2015, they have to make their batting and bowling department compliment each other on regular basis.